1. Stay away from glowing stuff. 2. Never trust an old lighthouse keeper. 3. Being asked for help is actually an opportunity to extort free food. 4. Haunted houses always have the ingredients to make sandwiches. 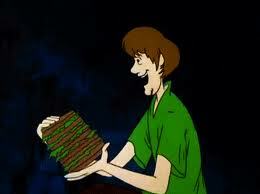 We won’t ask why Scooby and Shaggy are always so hungry, what’s in those Scooby Snacks anyway? 5. Mysteries involve some interesting clothing choices: short skirts, ascots, werewolves with pants, tattered Civil War uniforms, cloaks, capes, etc. 6. ‘Let’s split up’ actually works for this group, they all find clues, but still work together as a team. 7. Don’t let the handsome guy be your de facto leader, his plans are overly complicated and never work. Bumbling acts of panic save the day! 8. Dogs actually talk, but have speech impediments. 9. Running between various doorways in a hall is fun. 10. Driving around in a van called the Mystery Machine solving mysteries is not only a lucrative job, but you get to meet celebrities like: KISS, Batman, Fred Flintstone, The Addams Family, Jabberjaw, Sonny & Cher, Davy Jones, Josie & The Pussycats…I do realize some of these celebrities aren’t real people, ie. Davy Jones, but it’s still cool. 11. Seniors come up with some wacky schemes to make money. 12. We’ve all sometimes felt like we’re running past the same background over and over and over. 13. Once you remove the ‘mask’, people are just people. Or alternately, humans are the only real monsters. 14. 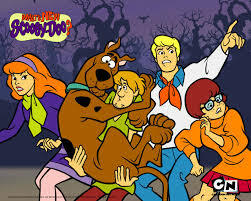 All the members of the Scooby Gang were really different, but all were able to add something to the group, even if it’s just as bait to attract a mummy, or Neanderthal, or witch, or miner or pirate. 15. Bad guys always say the same thing when they’re caught: “I would have gotten away with it too, if it weren’t for you meddling kids”. 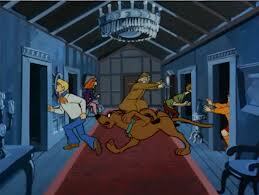 Scooby-Doo is a wonderful cartoon, a good tv-show as well as a great movie! Probably one of my favorite cartoons…right next to Spongebob! Oh no, now I have Spongebob episodes running through my head, when Sqidward forgot to feed Gary, when Spongebob ripped his pants, the sundae, when they were trying to deliver food, the Hashslinging Slasher…maybe I should do a post. Thanks. :) Gotta enjoy the fun stuff. 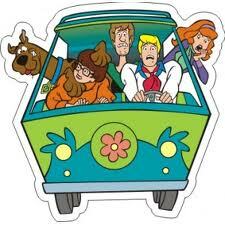 Scooby dooby doo, where are you? We’ve got some work to do now! An excellent post, my son loves this show as I dis as a kid and when you read this it all makes sense! Love this – was one of my favorites as a kid, and now my daughter loves it too. It’s interesting to watch the new version, but I’m still prefer the old. My fabulous archive find for the day. I loved Scooby and I loved this post Donna. Mega hugs! I was thrilled with your latest episode of Copper, The Alchemist and the Woman in Trousers, I’ll be at the station, breathlessly waiting for the next installment, as always. Ruh Row. 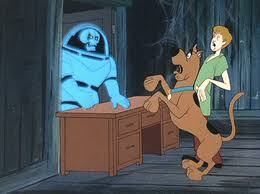 Can’t believe that I missed this the first time round…..I’m a huge Scooby Doo fan. I don’t even try to both saying I’m getting the movie for children…..it’s for me! Gotta listen to a talking dog. 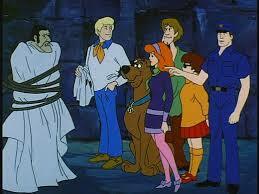 Did you ever figure out what his SCOOBY SNACKS were?